1 How do the bone cells detect mechanical load? 3 What does this mean for the Physiotherapist? How do the bone cells detect mechanical load? 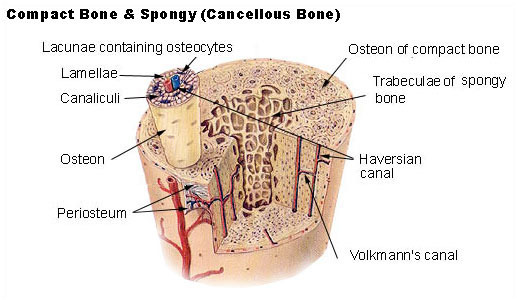 Osteocytes are the primary mechanosensors of bone that orchestrate the cascade that creates bone mass. Osteocytes are the most abundant cells found in bone (90-95% of all bone cells) and have long dendritic processes to communicate with surrounding cells. When bone is deformed by way of loading, these osteocytes detect the change and send signals to the osteoblasts and osteoclasts to repair and strengthen the bone. The biochemical reaction triggered by these mechanosensitive osteocytes leads to osteogenesis (new bone formation). Osteocytes exist inside the mineralised matrix of bone called lacunae and travel through the canaliculae channels. As loading increases on the bone, the extracellular fluid is moved through the extracellular space by pressure gradient. This fluid movement exerts a drag force within the pericellular space and the bone walls. The moving fluid also produces a shearing stress on the plasma membrane of the osteocytes. What does this mean for the Physiotherapist? Further research is needed to better understand the whole process of bone formation regulation. 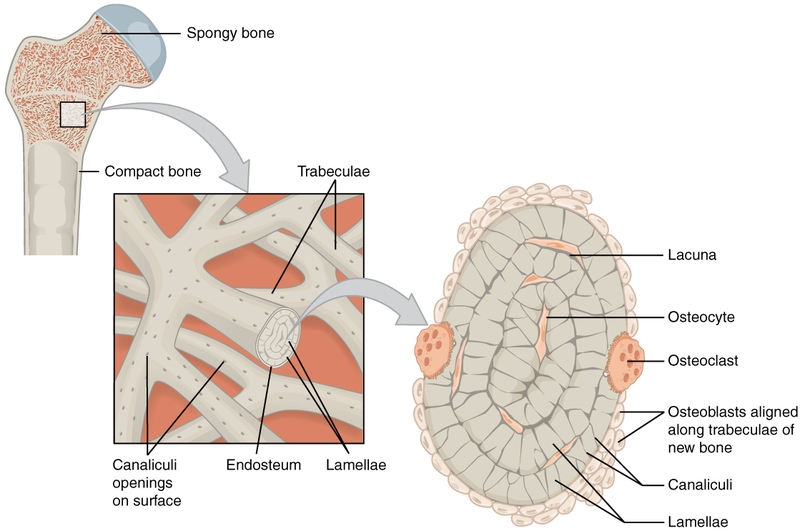 Greater knowledge of the mechanisms that govern the adaptive responses of the bone cells may lead to the development of new strategies towards enhanced bone healing protocols and fracture prevention. The clinical implications for physiotherapists are difficulty in designing optimal bone loss prevention strategies and programs as well as directing the management of conservatively or surgically managed fractures in our patients. ↑ 1.0 1.1 Gusmão CVB de, Belangero WD. HOW DO BONE CELLS SENSE MECHANICAL LOADING? Revista Brasileira de Ortopedia. 2009;44(4):299-305. doi:10.1016/S2255-4971(15)30157-9. ↑ 2.0 2.1 Robling AG, Turner CH. Mechanical Signaling for Bone Modeling and Remodeling. Critical reviews in eukaryotic gene expression. 2009;19(4):319-338. ↑ 4.0 4.1 Robling AG, Hinant FM, Burr DB, Turner CH. Shorter, more frequent mechanical loading sessions enhance bone mass. Med Sci Sports Exerc. 2002;34(2):196-202.